Hallways inside Men’s Central Jail (MCJ). Image courtesy Los Angeles County Sheriff’s Department. LOS ANGELES – Los Angeles County will pay back up to $120,000 in student loans to doctors as an incentive to get them to work in Los Angeles County jails, under a plan approved by the Board of Supervisors Tuesday. The county is looking for physician specialists — who can join right out of their residency program — and senior physicians with at least five years out of residency and some program oversight experience. The loan reimbursement will be paid out at the rate of up to $30,000 annually, depending on the actual amount of debt. And for doctors lucky enough not to have any student debt, the county will pay out a one-time $10,000 bonus after six months of service and another $20,000 after the first year of full-time work. Department of Health Services officials are hoping to attract more than 40 physicians with the incentive payments. Doctors hired will care for patients and provide first-line technical and administrative oversight of physicians, nurses and other professional medical providers. It has long been a challenge to recruit physicians for jobs inside the jail system and an overall shortage of primary care doctors has exacerbated the problem, according to Chief Executive Officer Sachi Hamai. 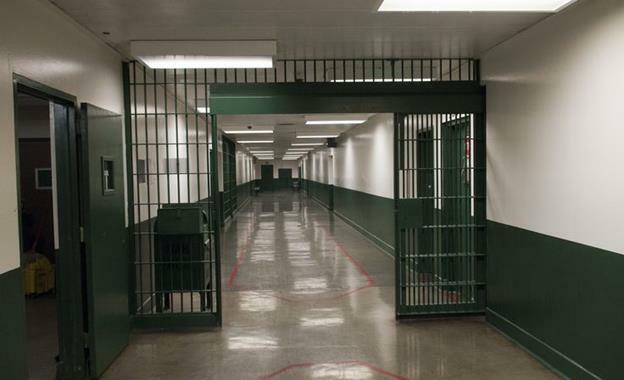 Jail patients represent an underserved and vulnerable population, with roughly 10-12 percent homeless, 20-25 percent battling serious mental illnesses and as many as two-thirds dealing with substance abuse disorders. The environment presents an unusual opportunity to build skills. 10 comments for "LA County to pay off student loans for jail doctors"
Having been a “guest” of La County Jail more times then I would like to admit, I can say that it would be an awful place for a doctor to work. Offering an incentive is their best bet as many doctors don’t want to have violent criminals, the mentally ill and homeless people as their patients. And I guess its ok to call it a prison as they now house state prisoners there too. Yeah, I skip a lot of them. But, frequently when I do some clown pretending they don’t like my comments will call me out by asking questions. No, I get plenty of attention, thanks. I did. You’re welcome. Have a nice day. So you mean to tell me that if i have student loan debts from medical school , all i have to do is go to jail to avoid paying back all them moneys? No, you would have to go to work at the prison. But since you couldn’t figure that out for yourself I’d guess you didn’t make it through med school. High school without help seems unlikely. What a disgusting comment, Tim Scott! The only thing you do is take pleasure in belittling others. Tim, I hate to tell you but you’re wrong. Prison is ran by the state. One would need to work for LA County in the county jails. Prison is state, jail is county. My bad. Using the words “prison” and “jail” interchangeably is a common error that I try to avoid. Traci, just out of curiosity do you think that Ken is actually wondering whether going to jail is a viable way to “pay back all them monies” that he owes for medical school? Or do you think that maybe, just maybe, he was having a little fun and fully expected someone might rib him a little in return? To Ken N…don’t worry, not all the decent folks in this valley are tight assed princesses. There is a reason why they will pay that. Yeah, as in why else would anyone who could be making doctor money would go to work for the county and not be able to pay off their student loans for themselves.